Diana I. Castrillon, has been practicing law for over seventeen years and is experienced in the areas of Workers’ Compensation and Personal Injury. Throughout her years as an attorney, Ms. Castrillon has been able to use her knowledge and experience to obtain significant economic results for individuals who have suffered as a result of the negligence of others. Recently, Ms. Castrillon was able to obtain a $350,000.00 settlement for a client who was struck in the face by a sheet of metal at the mechanic shop he worked at, injuring his face, neck and back. She was able to get him much-needed medical care which saved him from future disfigurement and disability. In the end, he and his family were delighted with the results which helped them pay off their debt and purchase a home to get back on their feet. In 2007, Ms. Castrillon went before the Honorable Judge Kathryn Pecko in a trial to ensure the right to benefits of illegal immigrants who are injured while working. In this important case, a young man fell off a roof while working for a local roofing company. His employer knew that he was not legally able to work in the United States and paid him cash for his work. However, when he was injured, his employer’s insurance company tried to hide behind the fact that he was an illegal alien to deny him his right to medical care and monetary benefits for lost wages. Ms. Castrillon successfully argued that the Employer cannot use his immigration status as both a shield and a sword. They used his illegal status to be able to pay him reduced wages without tax consequences but then tried to use this same fact against him to deny him benefits when he fell down while working for them. Now, thanks to the efforts of Ms. Castrillon, this is the precedent in Broward County and her argument is being used by other attorneys in other counties in Florida. Ms. Castrillon recently represented a 16-year-old boy who was hit by an automobile while on his bicycle. The accident resulted in severe damage to the boy’s growth plate and will require future surgery and treatment. Mrs. Castrillon was able to get a significant economic result for the family as well as a guarantee of payment on all the medical treatment he required. 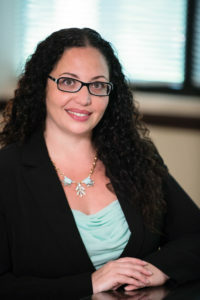 If you are looking for a Workers’ Compensation Attorney near Pembroke Pines, Plantation, Davie, Weston, Cooper City and generally in Broward County, Diana Castrillon is here to serve you. I also have fully-staffed offices in Miami, Plantation, West Palm Beach and Orlando, Florida to make the process as convenient as possible for you.